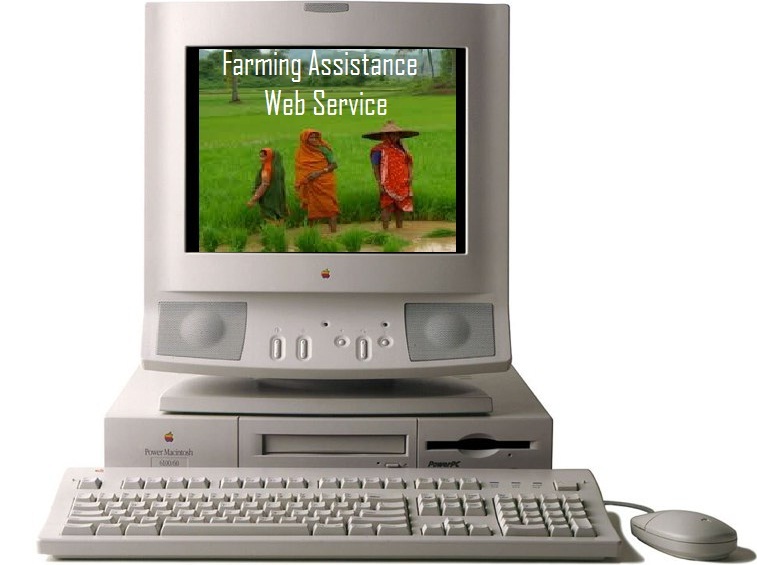 Farming assistant web service is a web project to help the farmers working with the motive of greater profitability by direct communication between; farmer-to- supplier and farmer-to-farmer. This service boosts business communication and brings transparency in the system. This innovative site allows a good farmer, retailer and supplier communication. It provides an option of login to farmers and communicates to respective dealers. Farmers are notified whenever dealers publish an advertisement or offer on the website through Sms message. The farmers also have an option to submit their grievances and complaints to respective dealers or authorities using their farmer login on a separate complaints page and authorities will get access to that page regularly using their login id and passwords. Separate login areas with appropriated functionality for farmers, administrators and dealers/ retailers. A separate page where only farmers can post complaints and only assigned administrators can read and edit this page. Pages where dealers and retailers may post their ads and notifications. Farmers are notified of these notifications via sms whenever new ads are published. An effective GUI so that rural people may easily use the service. Can be over for multiple villages to communicate and deal with each other.